Note: If the submit button locks up on you, try refreshing and then clicking submit before you fill out the form. For some reason it seems to help. Click here to visit the Green Mountain facebook and like them. Then on the “Hazelnut Iced Coffee” tab, you should be able to request your free samples. I totally LOVE my Keurig and Hazelnut is one of my favorites. Green Mountain is the best!! I got through, but it took a LOT of tries. I opened the page in 7-8 tabs at a time, they all failed, opened another 7-8…eventually some of them worked, and I submitted it. When I filled in my information and hit POST at the bottom, it didn’t do anything for a few minutes. But eventually it went through. 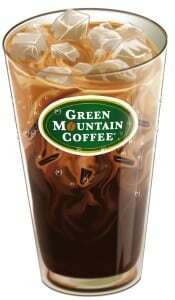 i own a keurig and green mountian is a favorite.never tried the iced coffee. Took many tries, but finally got it…thanks. wow..finally got it to open and it says i got mine coming !!!!! Good stuff, thanks for the samples. thank you, I enjoy your coffee, so I know I will love it iced. Would love a free sample to see if I liked this or not. I love hazelnut so I probably would. this sounds really good, would like to try it. Just got a Keurig this will help with seeing which favors I like. well it is not working for me the link for free iced coffee, guess it was not my lucky day! I Love my Keurig, and really like Hazelnut too. samples would be Amazing thank you.